Any businessman working in Brisbane after 1950 will be familiar with the well-known suit manufacturer George Symons Suits. It was with a great deal of pleasure then that, as a result of my profile in the Consultants Register in the Professional Historians Association (Queensland) webpage, I was asked by George’s granddaughter to write the history of the family behind the firm. Because I had been so lacking in the history of my own grandfather (it is limited to just three sentences!) I jumped at the chance, full of admiration for her far sightedness. George Symons was born to a priest of the Greek Orthodox Church on the tiny island of Kastellorizo in 1895. Because of its strategic position just 2 km off the Turkish coast it straddles the two continents of Asia and Europe and has been controlled by many different countries over the ages. The fact that it has a magnificent, deep-water harbour has made it greatly sought after. 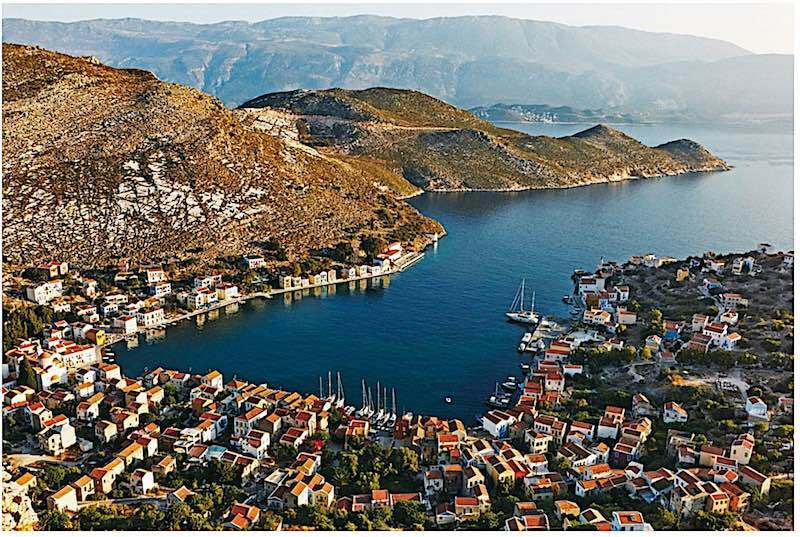 After WWI the economy of Kastellorizo, like the island itself, was in ruins, and its inhabitants were leaving in droves. George had been living in nearby Alexandria in Egypt where he married and learned the tailoring trade from his brother in law. His initial intention was to migrate to America where his wife’s family were involved in the fur trade. However for whatever reason he missed the boat so it was suggested that he migrate to Australia – the other country of Greek migration. This he did in 1924 and set up a successful tailoring business in the Melbourne’s prestigious Block Arcade in Collins Street. There he employed many of his Greek family and friends until 1950 when, on the advice of one of his brothers, he sold up and came to Queensland, where he bought a bigger factory in Ipswich. After an unsuccessful few years George transferred the business to Brisbane’s CBD – initially to Charlotte Street and then to Elizabeth Street next to the Treasury Hotel. George was gradually to hand over control of the business to his son, Sim, who was later to be joined by Sim’s son, George, who introduced many advertising ideas for the firm. 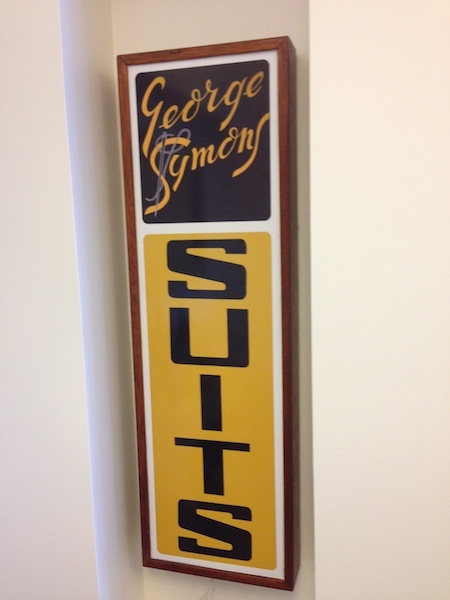 Most successful was the firm’s sports advertising, where, in 1972 George Symons Suits started giving a suit to the player of the week. Then they sponsored the Brisbane Bears, who later became the Lions and were also involved in other forms of sport. Tony Roche, the legendary tennis player and a relative, was also doing some advertising for the firm but asked for nothing in return. The opening of the Myer Centre resulted in George Symons Suits moving to addresses South Brisbane, where it was eventually sold. George Symons Suits employed many thousands of people over its half century of business in Brisbane. If you, the reader, have a story, either as an employee or a customer, please send it on to me. Like all family histories, it will never be finished, but I will be very happy to add your contribution to the saga of George Symons Suits.